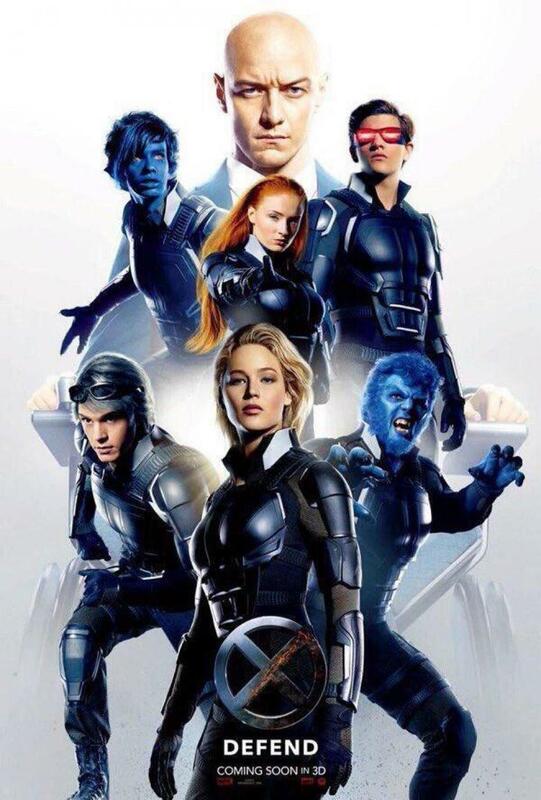 Straight after the hype of Captain America: Civil War, came the new X-Men film. 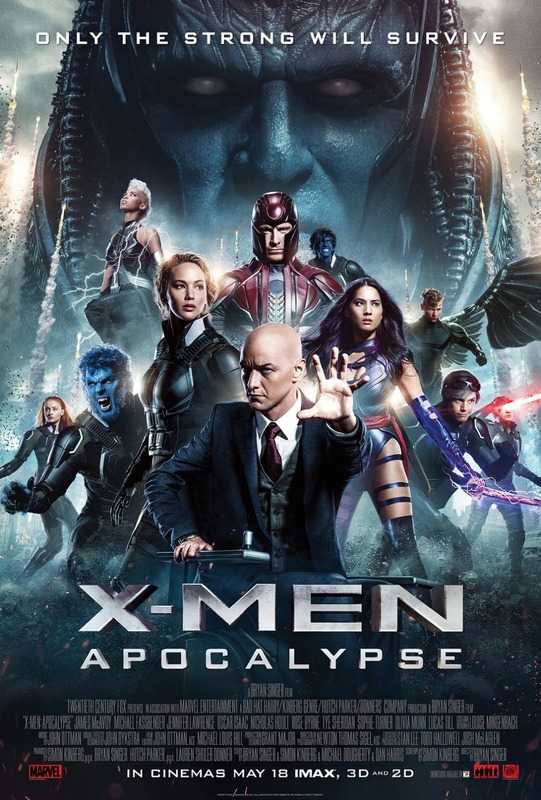 X-Men Apocalypse. I was super excited for the film because I can get enough of superhero films. I watched the film yesterday and I have a mixed feeling. The film settings are pretty damn fantastic. We got to see Apocalypse, claimed to be the first mutant. For some reason, he scared the hell out of me. He was trapped for centuries until one day, Moira finds the way to the place where he was trapped and found a cult worshipping him and awaken him accidentally. And all hell breaks loose. First thing first, let’s talk about the cast. We got to see the Apocalypse’s four followers. I have to say that it’s a disappointment we don’t get to hear or see much of the new characters; Storm, Psylocke, and Angel. We did get to see them fight which shows their badassery, but that’s it. They were very underused in my opinion. Alexandra Shipp who plays Stom is one of the fiercest actress I’ve ever seen but they didn’t really use that in the film. Same with Psylocke. She spoke like six lines (okay, maybe a little more than that) and jumped around trying to kill everyone. She could have used more development. On the X-Men side, we got to meet young Jean (Sophie Turner), Scott Summers (Tye Sheridan), and Nightcrawler (Kodi Smit-Mcphee). Nightcrawler is definitely one of my favourite character. He provides the much needed comic relief in the film. I was hoping that we got more of Jean’s story in the film, but it didn’t happen 😐 On the good though, QUICKSILVER! Plays by Evan Peters, he is definitely my favourite in the film (Other than McAvoy and Fassbender 😜). I wasn’t expecting much from Quicksilver to be honest but he was actually charismatic and I loved it whenever he appeared on screen. James McAvoy and Michael Fassbender are amazing as usual. They are definitely one of the reasons I want to watch the film. That scene when Erik lost his family just broke me. Michael Fassbender is such an amazing actor. I think we all can agree on that. 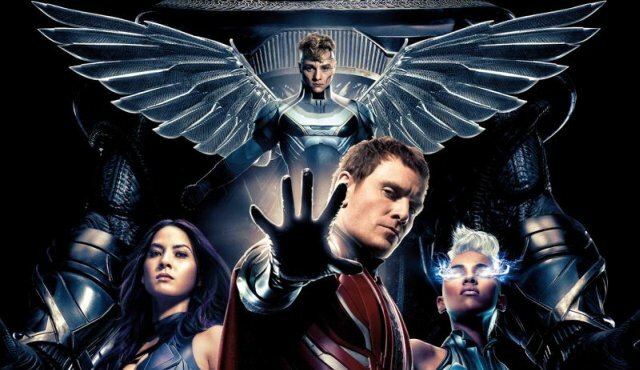 I have to admit that the whole formula of Erik creating chaos in the beginning of the film and redeem himself at the end kinda boring me at this point. I wish they would come up with something different, something a little bit exciting and unexpected. Second, the graphic and special effect in this film is marvelous, fantastic, amazing, and all the adjectives similar to the words I used. Especially when they displayed Erik’s power. Kudos to the people who worked on that. One thing that I really appreciate is how we got back story to these characters. I feel like it humanized them and helped us understand why they were the way they were. That even though they are mutants, they are not very different from other people really. In conclusion, I think it could use some tightening and better details on certain parts of the film. The characters and actors are great and it’s such a waste that some were really underused. It wasn’t bad at all for superhero movies, still good. But maybe it’s because I was just expecting something more.